Rumours have sparked that Arsenal have found their new manager after Diego Simeone made the unusual decision of shortening his contract at Atletico Madrid. His old deal ran until 2020 but the Argentinean is now set to leave the Spanish side in 2018 (via The Daily Mail). He’s one of the most coveted managers in world football and has been courted by both Chelsea and Manchester United in recent years but Diego Simeone has always stayed loyal to Atletico Madrid. However that seems to have changed after it was announced that the 46-year-old has knocked two years off his contract. Simeone seems to be timing his apparent departure well. He could leave in 2018 which means that he would have overseen Atletico’s transition into a new stadium as well as the 18 month long transfer ban which the club has been handed. Arsene Wenger is in the final year of his contract and these new rumours linking Simeone with Wenger’s job make a lot of sense. He is perhaps the best manager in Europe who isn’t already at an English side and would be a very good replacement for the Frenchman. His sides play with an incredible intensity and organisation that is perhaps a little lacking from The Gunners team at times. This style has led to success. Atletico have won five trophies under their boss in five years as well as reaching two Champions League finals. However Arsenal fans shouldn’t get ahead of themselves. The Daily Mail reports that Simeone prefers a move to Italy. The 46-year-old spent time at both Lazio and Inter Milan during his playing career and the latter are reportedly interested in bringing the manager on board. It’s difficult to predict what will happen next regarding Simeone’s future. The Argentinean is one of the best managers on the planet and there are bound to be a host of clubs eager to bring him in. Arsenal will be in the market for a new boss in the coming seasons and Simeone would be a remarkable appointment. Simeone is a very different style of manager to Arsene Wenger, far more demanding and organised. This could be difficult to get used to. With the recent reports linking Eddie Howe to the Arsenal management position it seems that the club’s higher ups are looking to make it as simple a transition as possible, identifying a manager who possesses many of the same traits as Wenger. 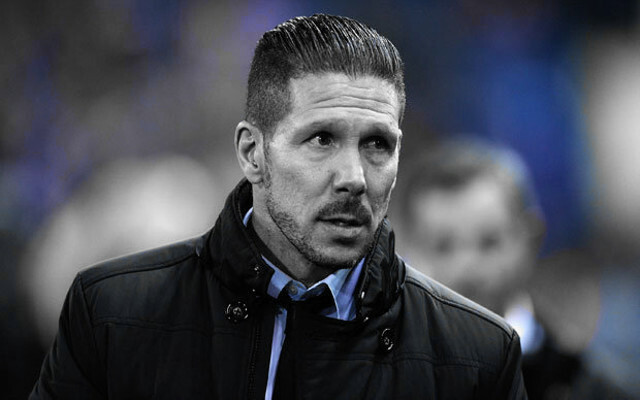 Simeone would be a step into the unknown and one which it would be difficult for the board to take.